Posted in Uncategorized and tagged 2019, Epic. @Keri Hicks: You’re absolutely right. He is truly unparalleled. And of course Emperor Belichick gets massive credit too. I just focus more on players than coaches because that’s what motivates me. I really dig the Brady/Thanos comparison, would’ve never put those 2 together like that. 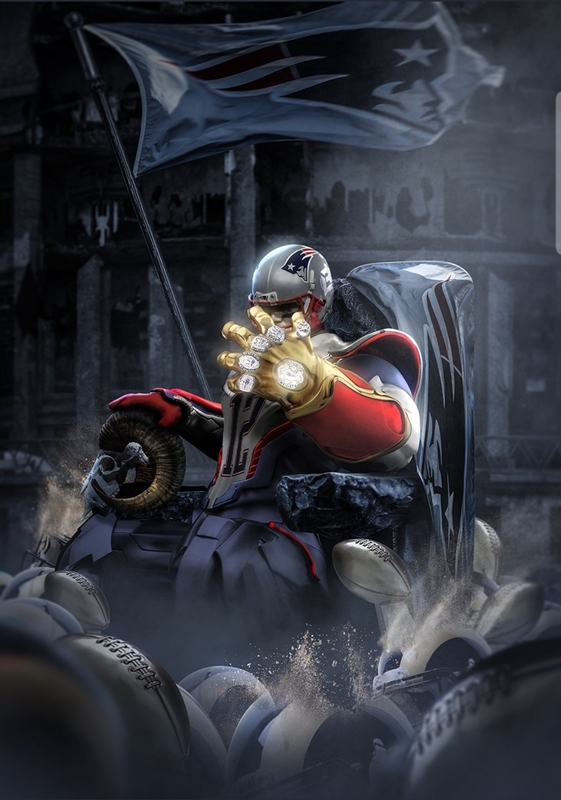 I’d like to think Brady wouldn’t wipe out half of existence after winning a 6th ring, but it would be a way to quiet all the haters he’s got lol, great read! Thanks for the read and compliment! Wow! You really know your Campaign Games. Congratulations on your winning I as the Spanish and dominating the game. I don’t play games of this sort, but it sounds exciting. I can’t imagine a came such as this going on for 2 years! I found it interesting that you compared Tom Brady and Thanos. That was a very creative comparison! Tom’s winnings 3-0 in his first three Super Bowls is very impressive. I can see where your 3-0 winnings in your first three non-solo Pirates CSG campaign games can easily compare. Great job on the details! @Devara Garrison: Indeed, part of the reason I know them so well is because I played a bunch of huge games before CG1 in 2016. That early experience has definitely helped me win 3 in a row. It can be very exciting. I remember getting an adrenaline rush when the Spanish declared war on the French in CG1. Quite an experience. At this point CG4 looks to become the longest-running VASSAL CG, since it started in April 2018 (10 months ago) and will certainly far eclipse the 10 month record held by CG2. I would definitely expect it to last at least 2 years, and possibly many more. I do have a Games playlist if you wanted to see me in action haha. I also made a tutorial video for beginners. Great post. I love how you make the connection between Tom Brady and Thanos. The man just can’t seem to lose! Six rings sure is a lot and it will be very interesting to see if he will be able to win a 7th…and maybe even an 8th? @Paul: Thank you! I have to admit, it’s one of my favorite posts I’ve made for this site. I hope Tom keeps winning Super Bowls and I hope I keep winning Pirates campaign games. Tom has sustained his incredible production into his 40’s and has now made 3 straight Super Bowls from the ages of 39-41, so I wouldn’t doubt for a second that he can get more.